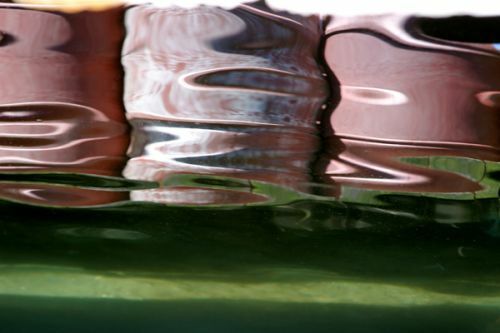 I took this reflection in the harbor of Oak Bluffs, Massachusetts on the island of Martha's Vineyard. Considering how few times I've seen an actual zebra, it's amazing how often I see them in my dreams and how often their patterns show up in Nature. To me, this looks like a picture of the United States. I love the eyes of the house.